The average investor isn’t stupid. The latest evidence comes from a look at where investors are putting their money, taken by the Morningstar mutual fund data organization. 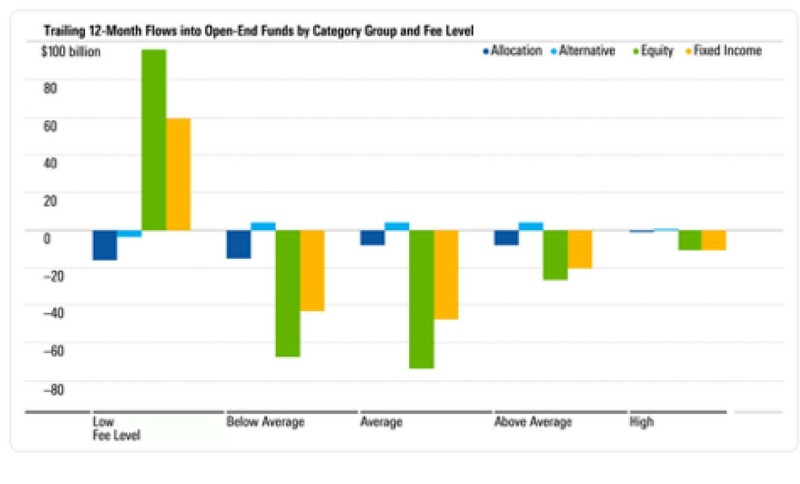 Morningstar has repeatedly found that the mutual funds with lower fees have tended to outperform higher-cost funds—and its rankings now include measures that look at how well different companies align their policies with their investors’ best interests. Companies that are maximizing their profits at the expense of their investors are discovering that investors have caught on to the game.